While this box seems excellent value, this is due to two full sized items being included, which doesn’t happen each month. Sadly, I’m not a pink person so having a pink lip pencil and nail varnish aren’t going to be items I will use. The John Frieda product I did choose, but isn’t a product I would normally use or buy as I simply don’t like leave in hair products, but for those that do this is an excellent choice. The two remaining products are anti-aging; the single use sheet mask will be useful when I need a pick me up, but I’m not a huge fan of sheet masks, and again wont be buying this product. I am a fan of Caudalie, so the final product is useful (and smells wonderful), but I probably won’t buy this one either as if contains SPF. I will use it, but I avoid buying moisturizers with a SPF as they contain more chemicals, and if I am not going out then there is no point in using a product with an SPF. Many only give very basic protection and if I was going out I would use nothing less than SPF 30 on my face. Nice products, but none that will become permanent fixtures in my beauty basket. On the whole the box had a good and varied selection of brands, and products. The perceived monetary value was higher than in previous boxes, and was good value for the money paid. The delivery was quick, presentation of the box was good, but it does boil down to the fact when buying beauty boxes with makeup, it will be hit or miss with the colors selected. This is one of the better boxes I have received during my six-month Birchbox subscription. 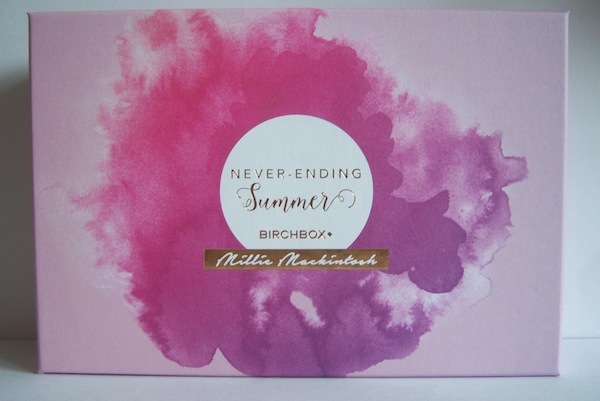 I will be doing an in depth overall review later on the whole Birchbox experience which will include using the loyalty points, and the cancel and changing the subscription options.